This tenth century Romanesque church was originally part of a larger Benedictine monastery. 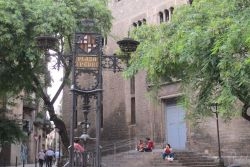 Nowadays only the Church itself remains, yet it still stands as a Romanesque monument showcasing Barcelona’s religious past. 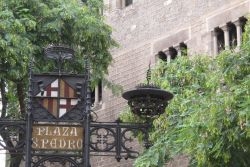 Located in El born area within the old city district and within walking distance of Barcelona Cathedral, the church of Sant Pere de les Puel.les features some of the most classical Romanesque interior designs on offer in the city. The high beams, sweeping vaults and low lighting create a beautiful, large space which has been in use for over 1000 years. 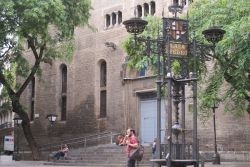 Part of the former cloister has been relocated to form part of a collection at the Museu Nacional d'Art de Catalunya (MNAC) on Montjuïc mountain. Despite the various attacks over the centuries the charm of this church has been maintained and today we can still admire some of its relics. 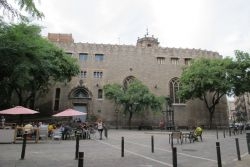 The Sant Pere de les Puel.les church is one of the most beautiful medieval churches in Barcelona, together with the Cathedral, Santa Maria del Mar, Santa Maria del Pi, Sant Pau del Camp and the cloister of Pedralbes.